This page reflects the variety of Freeland's populace and our churches in past and present. 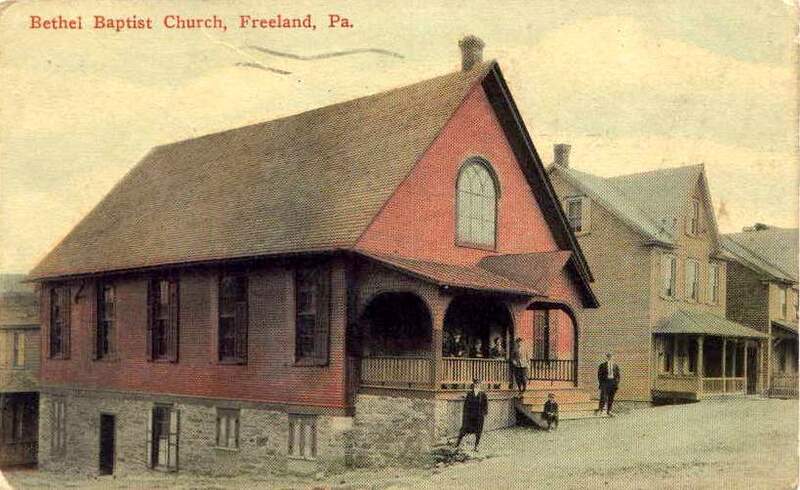 I'm still learning about the many churches and other religious institutions of Freeland, and so if you see information that seems incomplete or incorrect, please send e-mail to let me know. Some of the names might be slightly incorrect, due to differences in how churches were listed in various sources over time, and some my labels of denominations or ethnic groups may also be mistaken. I'll correct the entries as I get more information. Enjoy. Photo at top left appears courtesy of John Zubach. Please note: I'm in the process of redesigning this section of the site. If the church in the lists below has a single link, that takes you to its new individual page. For those churches whose individual pages aren't made yet, what's here is the paragraph that was previously on my site, with links to photos. The new pages will have more images and more information. You can scroll down here to see the pages that are currently available. 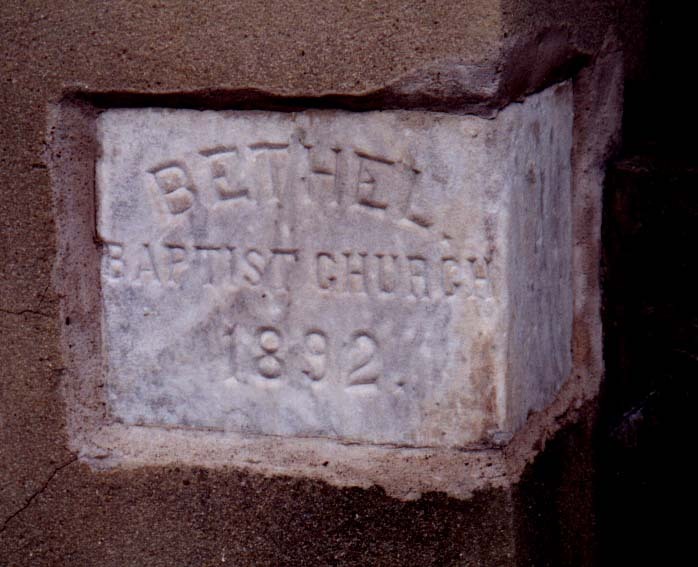 Bethel Baptist Church - Ridge & Walnut Sts. - An early view of the church at Ridge & Walnut Streets, built to replace an earlier church that had been located on Fern Street. 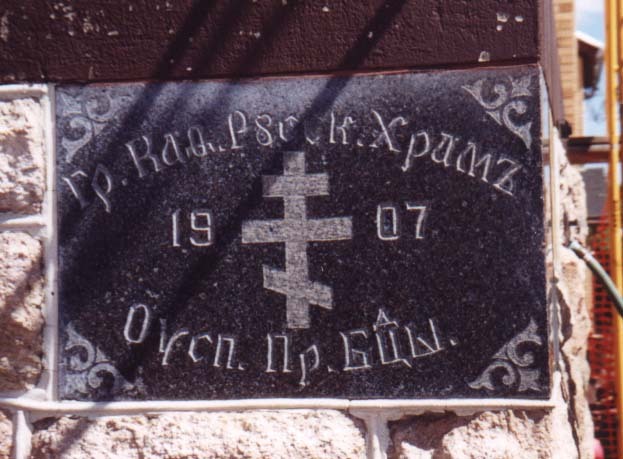 Here's the cornerstone. 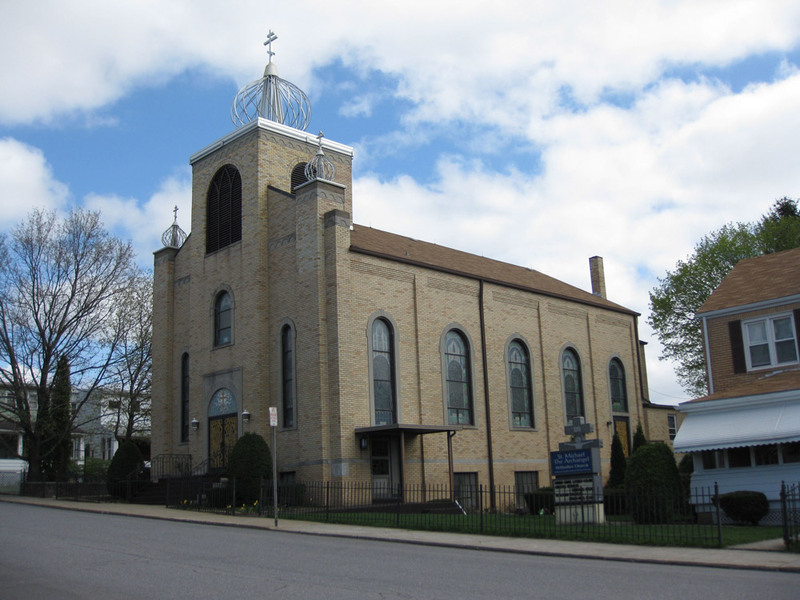 Our Lady of the Immaculate Conception - 820 Centre St.
Presbyterian Church of Freeland - 607 Front St.
St. John's Reformed United Church of Christ - Washington & Chestnut Sts. 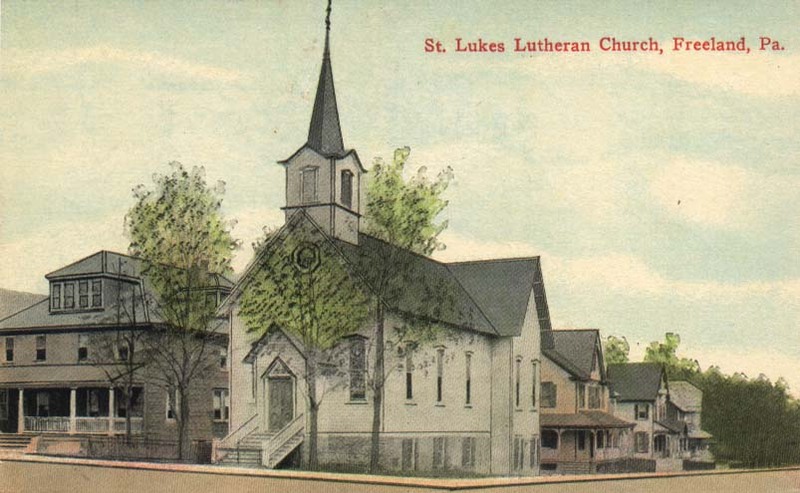 St. Luke's Lutheran Church - Washington & Main Sts. 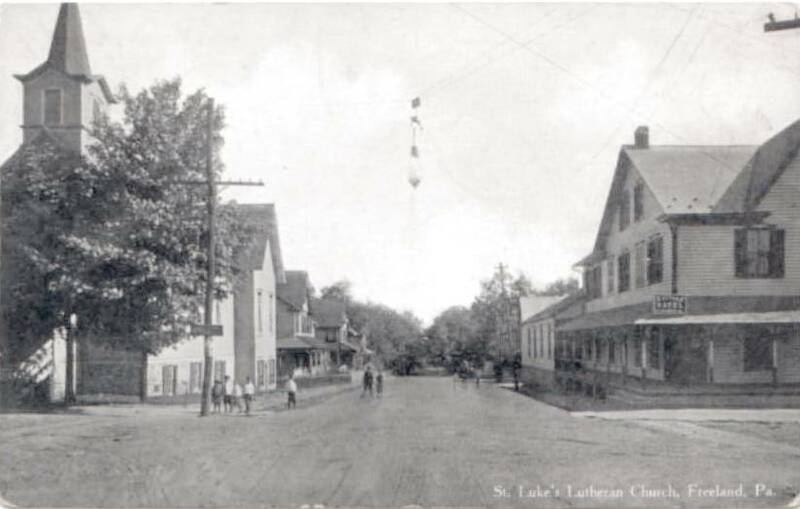 - The original St. Luke's Church, shown here, was constructed of wood, and stood at Washington & Main Streets. 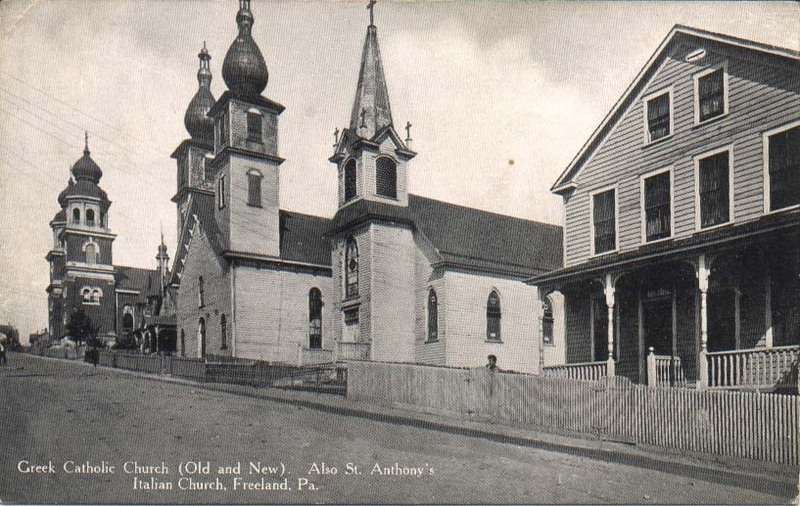 The original church, shown here in another view, was built in the year that Freeland was incorporated. 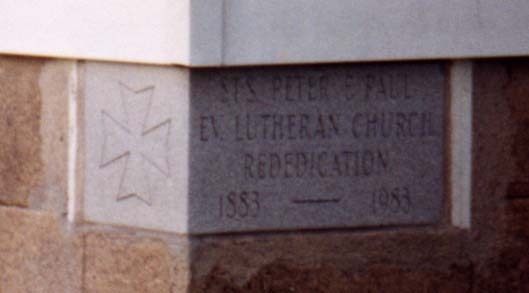 It was later rebuilt of local stone on the same site, as commemorated on the cornerstone. 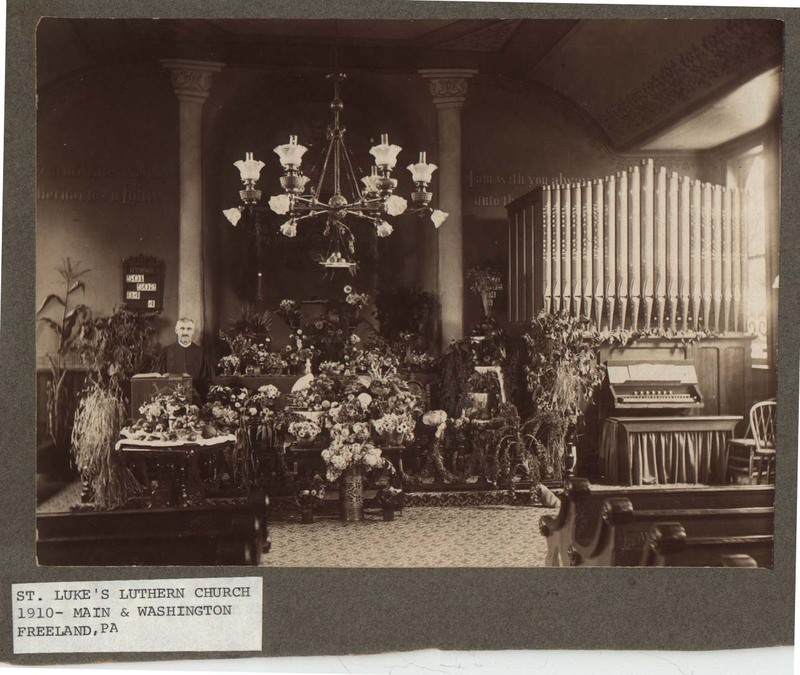 Here is a view of the interior of St. Luke’s in the fall of 1910 as “Harvest Home” was being celebrated by Pastor D. A. Roth (photo courtesy of C. Stumpf). 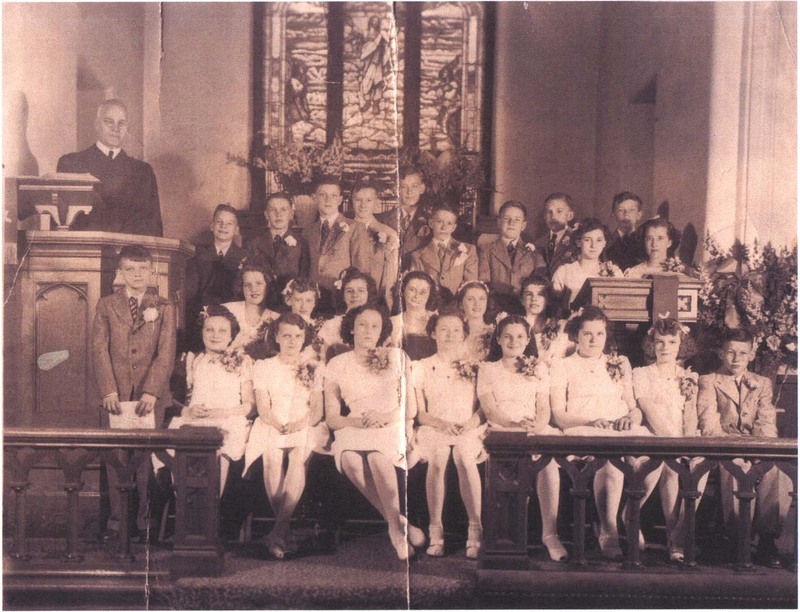 Also, shown here is St. Luke's confirmation class in 1945 (photo courtesy of Bill Smith). 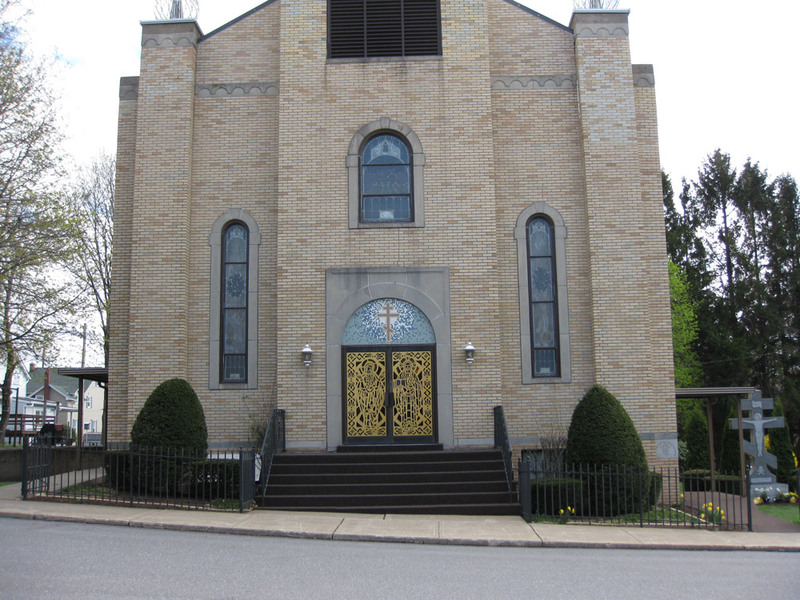 St. Mary's Byzantine Catholic Church - N. Fern St. - There have been three different St. Mary's Churches constructed on the same block of north Fern Street. 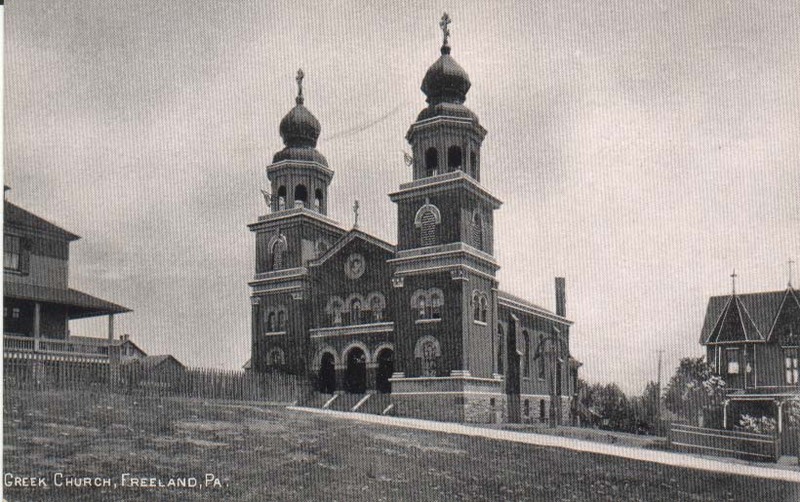 Shown here are the second church building (the center church of the three churches shown here) and third church building (at the top of the hill). 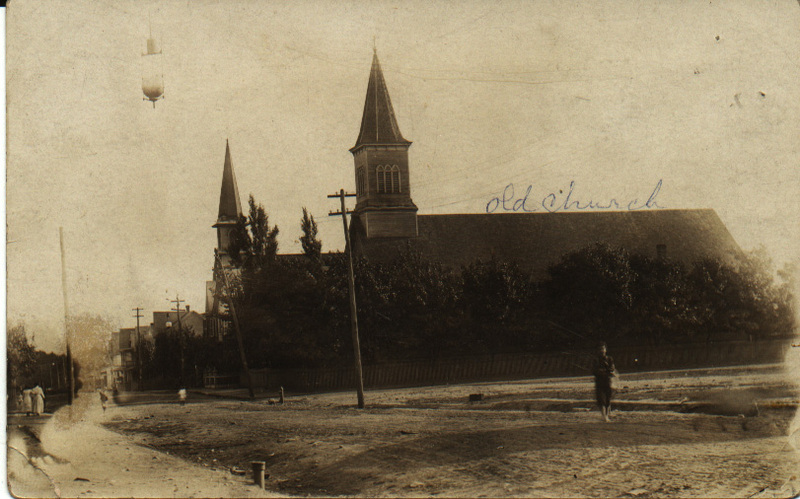 Here too is another view of the current church from back before the convent was built, and a view of the cornerstone. 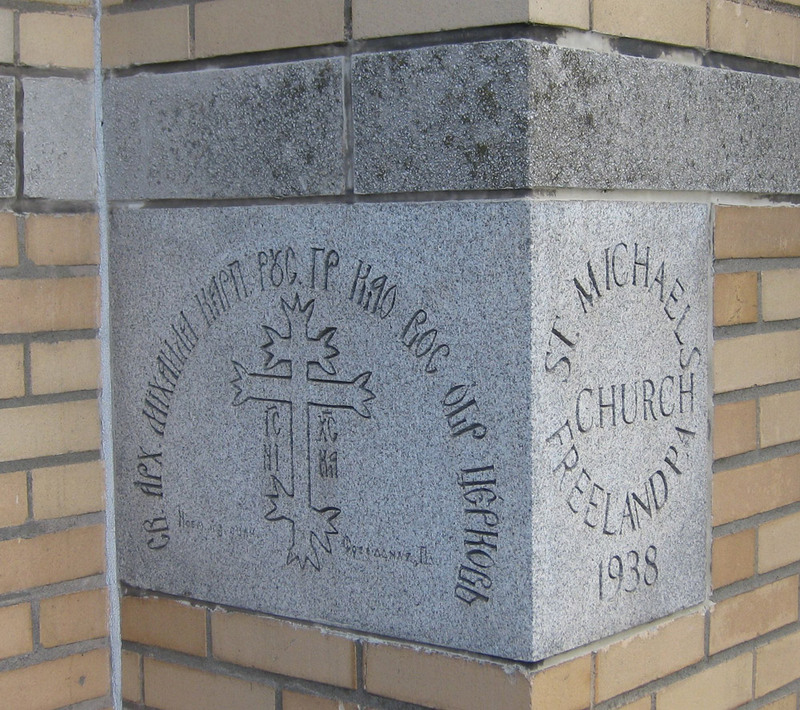 St. Michael's Orthodox Greek Catholic Church - Fern St. - St. Michael's was founded in 1938. 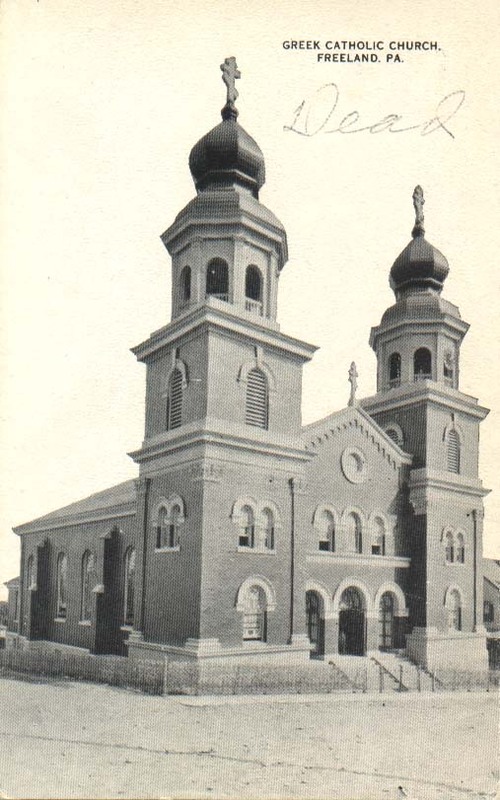 Shown here are the cornerstone, the front of the church, and a larger view of the church building that shows the lovely, airy domes. 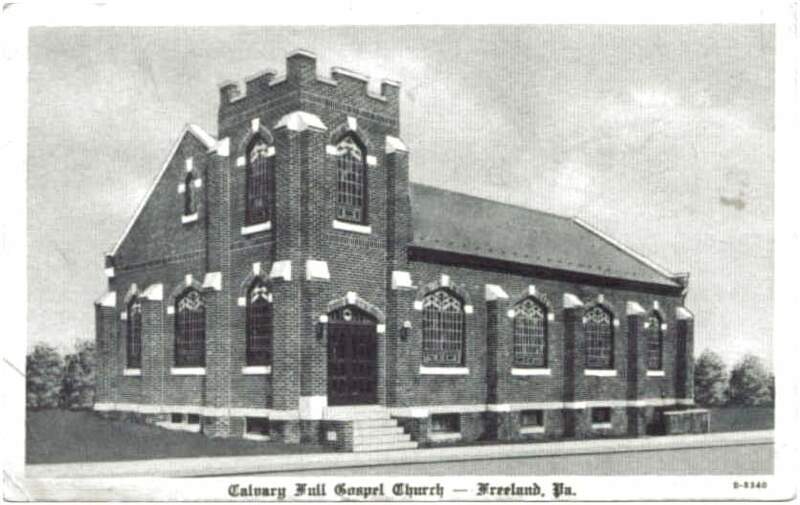 Calvary Full Gospel Church - 405 Ridge St. - That name has also been used (Sanborn map) for the New Calvary Pentecostal Church on Front street near Birkbeck. 405 Ridge street looks like the address of Belekanich’s, formerly a public school. 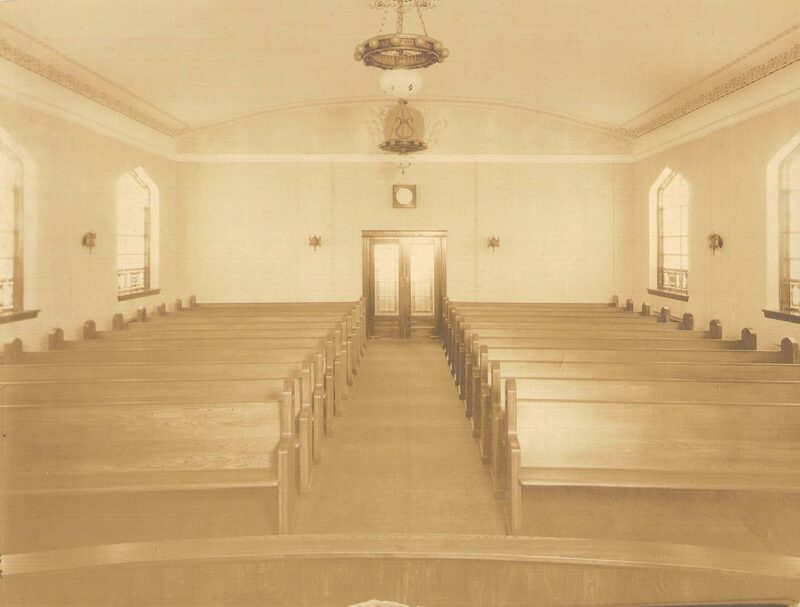 Might that be where this congregation met until their new church building on Front street was built? New Calvary Pentecostal Church - Front and Birkbeck Sts. 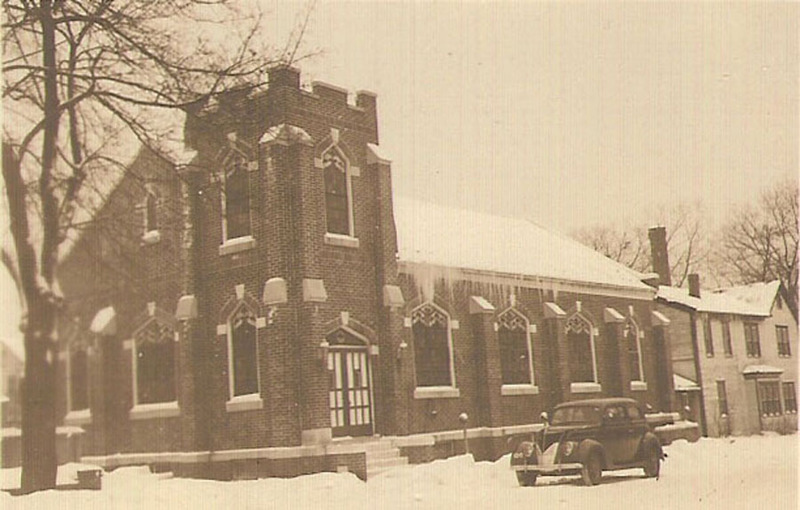 (closed, now the public library) - This church was built on Front St. near Birkbeck Sreet in the 1920s. Here's another photo taken in winter, along with a view of the interior. 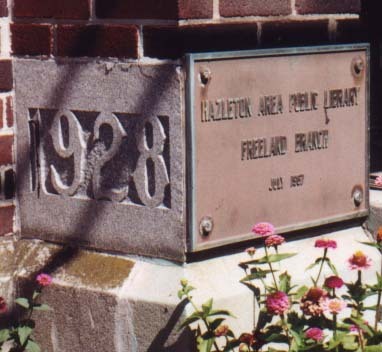 At a later time the building was reused by the Beth Shalom Congregation, and now it houses the Freeland branch of the Hazleton Area Public Library, as indicated by the plaque added to the cornerstone. 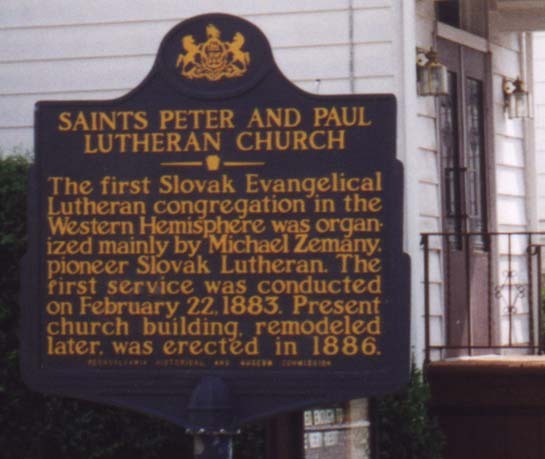 St. Peter and Paul's Slovak Lutheran Church - Washington St. (closed, building still there) - This is said to be the earliest Slovak Lutheran church in the western hemisphere. 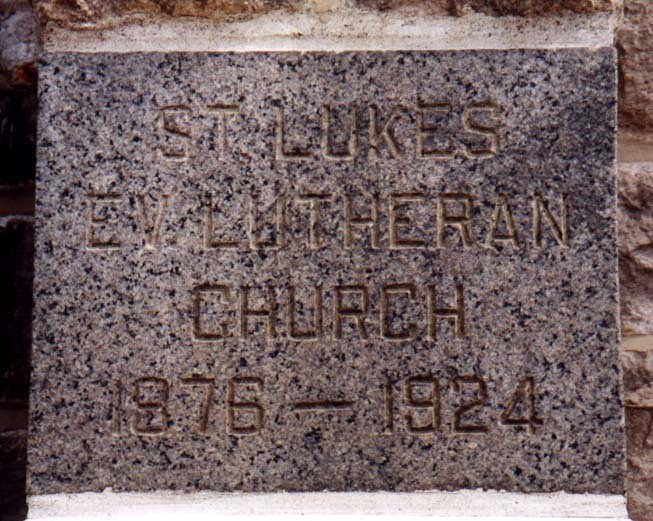 I'll add a photo of the church later, but here are the cornerstone and the historical marker issued by the state of Pennsylvania.